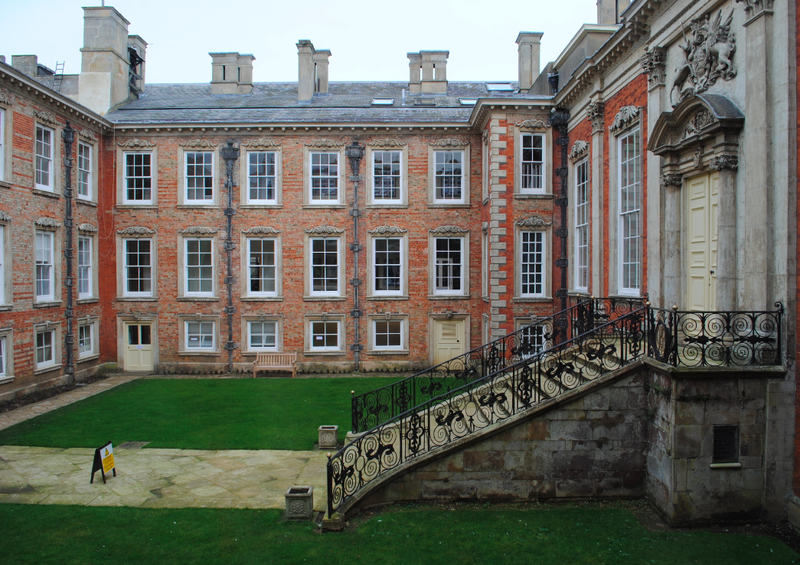 Located in the village of Kimbolton is the medieval castle now home to Kimbolton School. Grade I listed, the castle was heavily rebuilt by Sir John Vanbrugh and Nicholas Hawksmoor in the early 18th century. 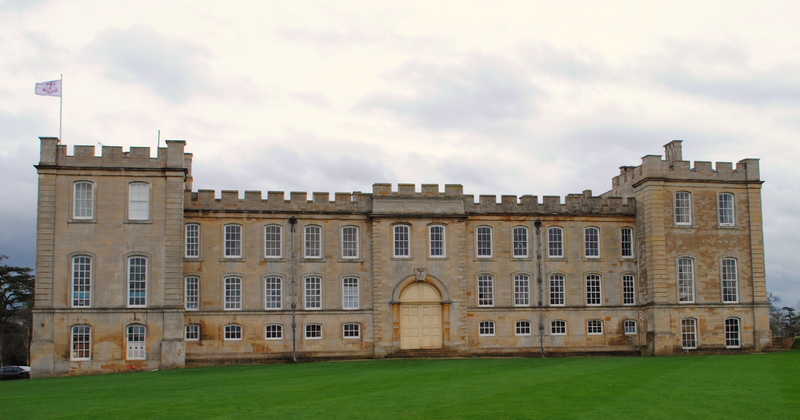 Constructed of ashlar faced in Weldon and Ketton stone, the west front (above) was not rebuilt by Vanbrugh but incorporated into his design with the addition of battlements and uniform windows. 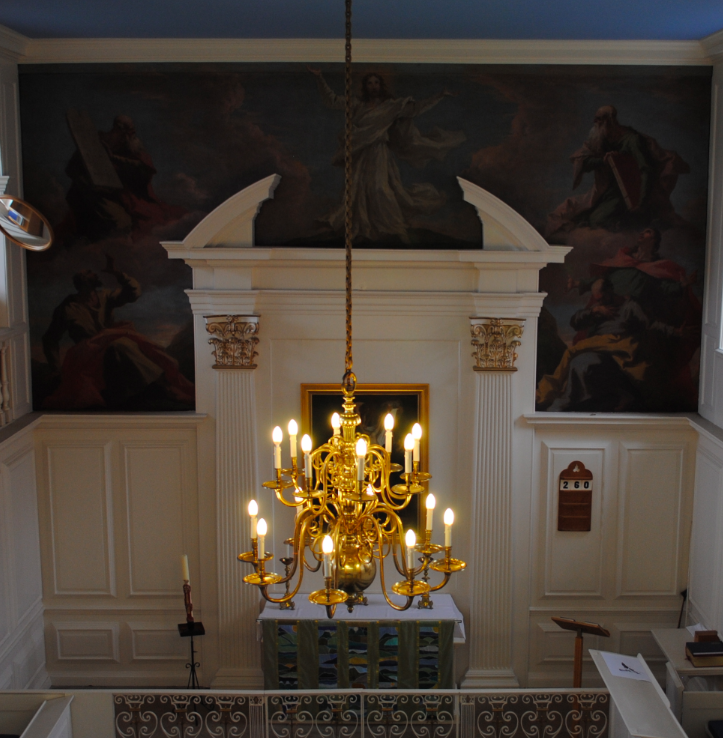 The Tudor chapel was remodelled during the Great Rebuilding. Featuring a West gallery designed by Vanbrugh, the chapel courtyard wall is stonework thought to have been brought from the ruined Higham Ferrers in 1523 by Sir Richard Wingfield. The courtyard was remodelled in 1690-95 by the 4th Earl of Manchester, Charles Edward Montagu. Featuring an ornamental doorway which leads into the Great Hall, the courtyard is a mixture of brick and stone, ornamented lead rainwater pipes and the 17th century small pane sash windows are some of the earliest surviving examples in England. The Gatehouse was built in 1764- 1766 and was the work of the British architect Robert Adam. Constructed of red brick with Ketton stone ashlar, the Gatehouse is flanked by two single storey ranges with gable end pediments. The Gatehouse is also Grade I Listed. 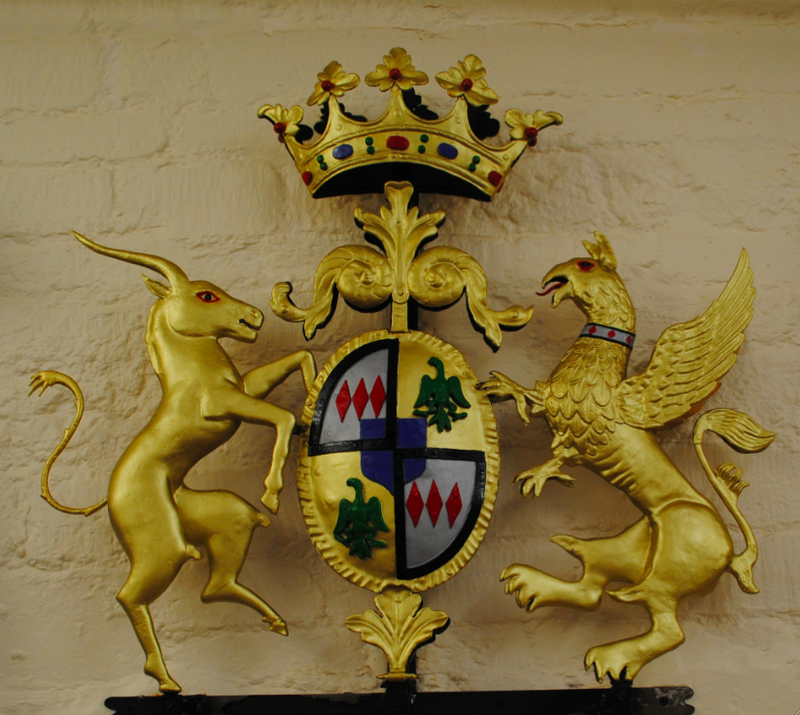 The achievement of arms of the 4th Earl of Manchester formerly surmounted the exterior iron gates. After careful restoration, it is now on display in the Heritage Room.